Dark Souls 3 doesn’t come out until April 12, but three weeks before its release, streamers could start sharing their experiences. As I recently observed, that didn’t over so well the series’ passionate fans. Now, Bandai Namco is trying to put the genie back in the bottle. The embargo for Dark Souls 3 asked people to stop streaming after a certain set of bosses, but that was a decent chunk of the game! Recently, Bandai Namco asked everyone to stop streaming—period. 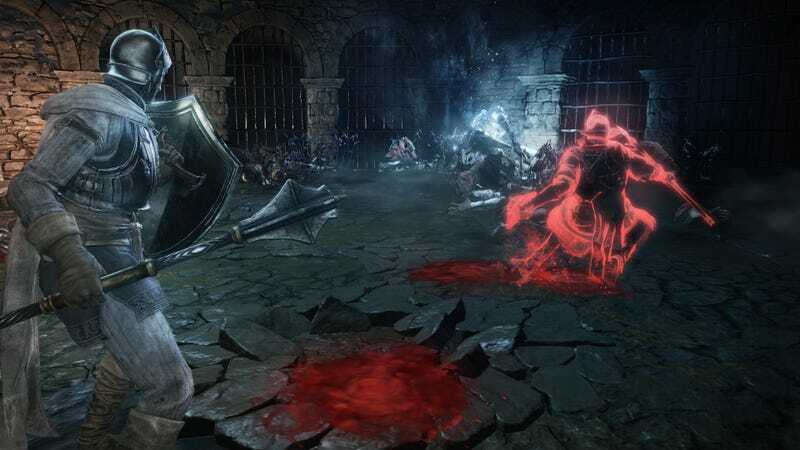 “Our community team has asked streamers to stop streaming the PC version of Dark Souls III provided to them from us as we start to send the game out to a wider set of streamers,” the company told me in a statement. I picked up on this when certain streamers were told to hold off. There’s a good reason Bandai Namco lifted the embargo so early: Dark Souls 3 is already out in Japan. But the company was faced a dilemma. Spoilers for the new game were going to float out no matter what they did, so why not let people get a glimpse of the Western version coming out in April? Will this stop everyone from streaming? Hard to say. It’s not the original embargo that people agreed to, and some didn’t get the memo. Bandai Namco could wave around copyright takedowns, if they want to get stingy about it. Hopefully, it doesn’t have to get that ugly. We’re so close!